French advertising and communications giant Publicis Groupe has entered into a definitive agreement to acquire Sapient, a US-based marketing and consulting firm, in an all cash deal for $3.7 billion, as per a release. The boards of directors of both the companies have approved the deal which is now subject to shareholders' approval. The move comes within six months of a now scrapped $35 billion merger between Publicis and Omnicom. As part of the deal, Sapient will get merged with a subsidiary of Publicis and become a wholly-owned subsidiary of the group. Alan J. Herrick, CEO and co-chairman of Sapient, will join the Publicis Groupe as CEO and Jerry A. Greenberg, co-founder and co-chairman, will join supervisory board of Publicis. Under the agreement, Publicis will acquire all the outstanding shares of Sapient for $25 per share and it is expected to be closed in the first quarter of 2015. With this acquisition, Publicis will be the leading global communication, marketing, omni-channel commerce and technology group with combined revenue in excess of €8 billion euro, combined EBITDA of around €1.3 billion euro and over 75,000 people globally. “This transaction provides substantial value to our shareholders, offers an ideal cultural match for our people and provides an opportunity to share a wealth of new capabilities with our clients. The Sapient team has been on a 24-year journey building a company with the objective of creating significant impact for our clients and the industries in which they operate. With Publicis Groupe, we have found a partner that accelerates the level of transformation we can drive into the marketplace, said Alan J. Herrick, president, CEO and co-chairman of Sapient. Founded in 1990, Massachusetts-based Sapient helps clients transform in the areas of marketing, omni-channel commerce and consulting. Its clients are mainly from financial services, retail, technology & communications, travel & leisure etc. The firm, which operates three divisions- SapientNitro, Sapient Global Markets and Sapient Government Services, has offices in 37 cities and employs 13,000 people. For the year ended on June 30, 2014, the firm generated around $1.35 billion revenues. “Sapient is a ‘crown jewel,’ a one-of-a-kind company born in the technology space with strengths in marketing, communications, consulting and omni-channel commerce, all of which are equally important to best help clients achieve their digital transformation. 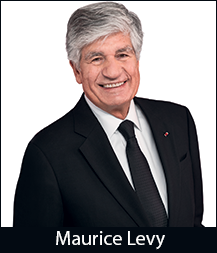 It will also give Publicis Groupe access to new markets and creating new revenue streams," said Maurice Lévy, chairman and CEO of Publicis Groupe. He said this acquisition fulfills many of Publicis Groupe’s objectives: enhancing leadership position in digital, achieving goal of deriving 50 per cent of revenues from digital and technology three years ahead of 2018 plan, and leverage technology, consulting capabilities to expand in new verticals. BofA Merrill Lynch and Rothschild acted as the financial advisors and Wachtell, Lipton, Rosen & Katz served as legal advisor to Publicis on this deal. Goldman, Sachs & Co and Blackstone Advisory Partners LP acted as the financial advisors while Cravath, Swaine & Moore LLP acted as the legal advisor to Sapient. Publicis Groupe’s services include digital media (DigitasLBi, Razorfish, Rosetta, VivaKi), creative services (BBH, Leo Burnett, Publicis Worldwide, Saatchi & Saatchi), public affairs, corporate communications & events (MSL GROUP), media strategy, planning and buying (Starcom MediaVest Group and ZenithOptimedia) and healthcare communications (Publicis Healthcare Communications Group). The group is present in 108 countries and employs 63,000 professionals. It has actively expanding in India through the inorganic route. Early this year it acquired majority stake in Delhi-based advertising and digital agency Law & Kenneth for an undisclosed amount. It had previously bought Indigo Consulting, Resultrix, MarketGate, iStrat, Convonix, Neev and Beehive Communications, among others.